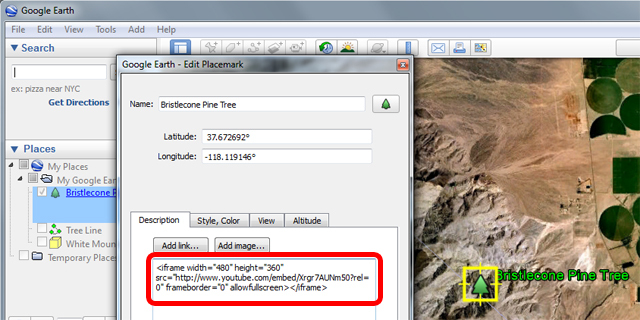 You can easily embed a YouTube video into a placemark balloon in Google Earth. Upload your video to YouTube or choose a video that's already uploaded. 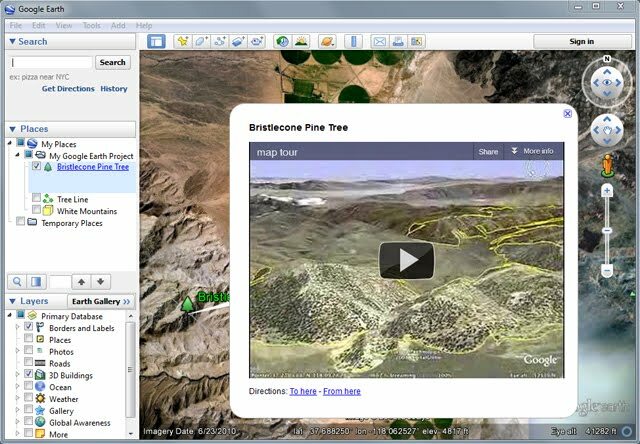 Choose a placemark you've already created, such as the placemark created earlier in this tutorial. To edit the placemark, right-click on the placemark in the 3D viewer or in the Places panel, and choose Properties(on a PC) or Get Info (on a Mac). 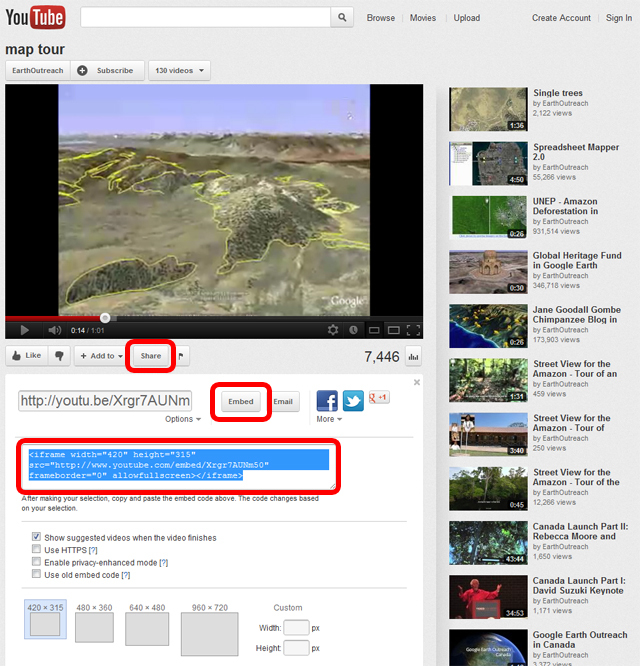 In the Description field, paste the YouTube HTML code which you copied in Step 2. Now when you click on the placemark, its balloon has the YouTube video!